BRUSSELS, March 19 (Reuters) - Belgian speciality textile group Sioen Industries (SIOE.BR) reported an 82.2 percent nosedive in 2008 net profit, missing market expectations and prompting it to slash its dividend, and gave a cautious outlook for the future. The company's bottom line was dented by a drop in sales for its coating division, which sank 11.3 percent from 2007, its chemicals division which dropped 13.6 percent and its industrial applications division, which serves the automobile and transportation industries and plunged 16.7 percent. "We are working hard to defend our market positions and maintain rigorous cost control," Sioen said in a statement on Thursday March 19, noting it was difficult to look ahead given the current macro-economic climate. "We are closely following all new developments in our markets and are confident that, with our flexibility and our financial and shareholder structure, we will emerge stronger from this period," it added. Net profit fell to 3.4 million euros ($4.6 million) against an average forecast of 4.7 million according to analysts polled by Reuters Estimates. Sales dropped 8.1 percent to 349.4 million euros, against an average forecast of 352.5 million. "This fall is due entirely to the economic slowdown in the last quarter of the year," Sioen said. Core profit, or earnings before interest, tax, depreciation and amortisation, fell 41.5 percent to 37.7 million euros against an an average forecast of 40.3 million. Belgian speciality textile group Sioen Industries posted a slightly lower net profit for 2011 but said it would up its dividend as it was confident about the new year. Belgian speciality textile group Sioen Industries said on Wednesday it had reached an agreement to sell its subsidiary Roland International. 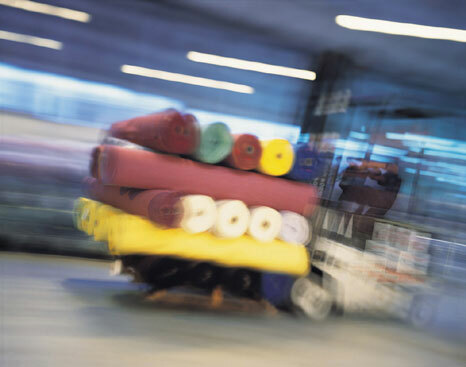 Belgian specialty textile group Sioen Industries reported a 32.6 percent drop in first-quarter sales on Friday 15 May and painted a bleak picture for the rest of the year. Belgian speciality textile group Sioen Industries lowered its fourth-quarter expectations on Thursday and said it would fail to meet analysts' forecasts for the full year.